If one of your 2018 resolutions is to travel more, we’ve got you covered. Here are a few of the top travel trends for the year ahead. Don’t worry, this isn’t sleeping with the cattle. Refurbished barns are all the rage in vacation rentals – up more than 50 percent since last year according to HomeAway, the popular vacation rental website. Some of these barns – located all over the U.S. – are waterfront, have media rooms, pool tables and more. But the best part is the price. These barn stays can be had from as little as $10 per person, per night. 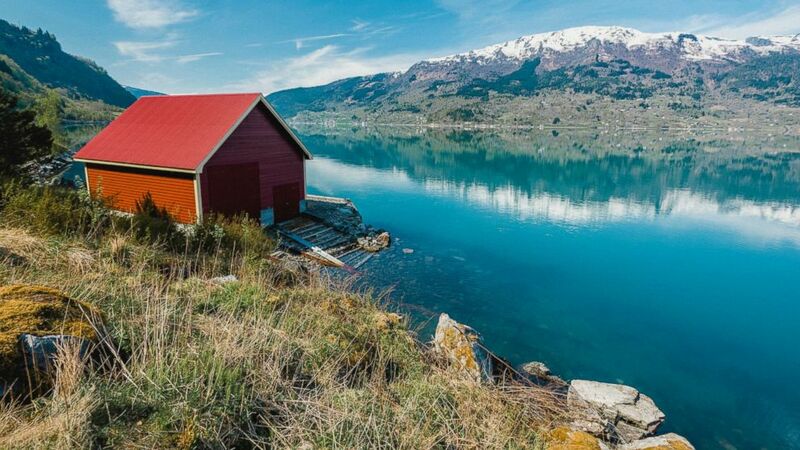 A red house barn is pictured on the Fjord in Norway in this undated stock photo. We’ve all heard about the multi-generational vacation by now, but gaining in popularity is the skip-gen vacation. This is basically grandparents and grandkids taking trips of a lifetime together. As boomers retire and prioritize family time, these vacations satisfy both goals. Deck chairs and a life saver ring are pictured on a cruise ship deck in this undated stock photo. Trend 3: Wellness at sea. Cruises aren’t generally known for being a health conscious vacation option, but that’s changed in recent years. As the general population becomes more fit, cruise ships follow suit and if you haven’t sailed the high seas in some time, expect to see famous fitness and wellness brands like Canyon Ranch, Flywheel and TRX RIP training in addition to more traditional classes like yoga and Pilates. Plus, look out for a real increase in more health conscious dining options, more active shore excursions and onboard programming aimed at helping passengers lead a healthier lifestyle. If you’re really committed to wellness at sea, check out details on the 2018 fitness cruise here. January 27, 2019 Comments Off on A Bruised Trump Faces Uncertain 2020 Prospects. His Team Fears a Primary Fight.